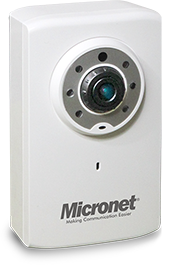 Micronet box IP camera provides 4 Megapixel (2688*1520) resolution with excellent color representation and advanced HDR technology for extreme low or high lighting conditions. 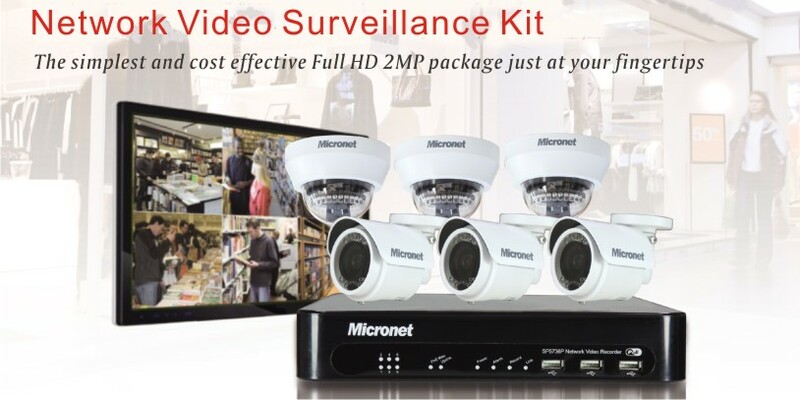 Micronet Cube type IP camera deliver up to 2 Megapixel resolutions and HD 720p real-time video monitoring with superior sharp images and exceptional details. 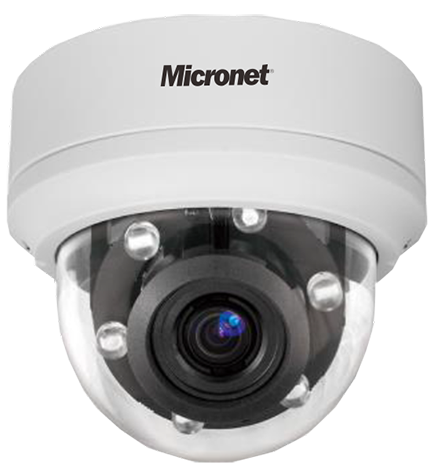 Micronet Bullet IP camera with 4 Megapixel resolution provide double the resolution of 1080p. 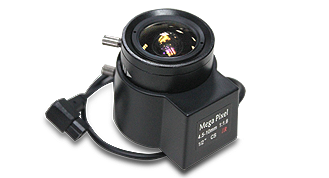 This higher resolution will increase the level of detail and clarity to your security footage. 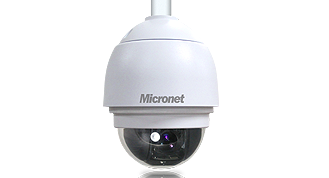 Micronet Fix Dome IP camera provides 4 Megapixel (2688*1520) resolution with excellent color representation and advanced HDR technology for extreme low or high lighting conditions. 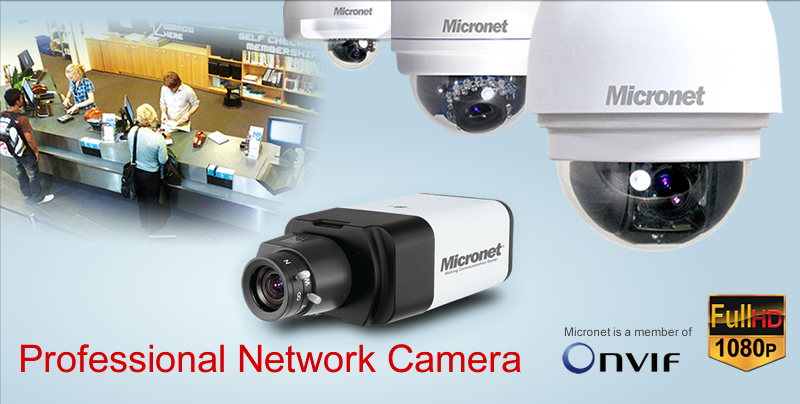 Micronet Full HD Speed Dome IP Camera is equipped with high quality SONY progressive scan CMOS sensor. 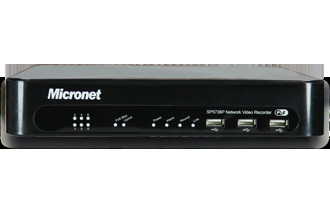 Micronet SP5736P is a 6 Channel High Definition PoE Digital NVR supporting 1080P real-time recording, dual streaming and Full HD display. 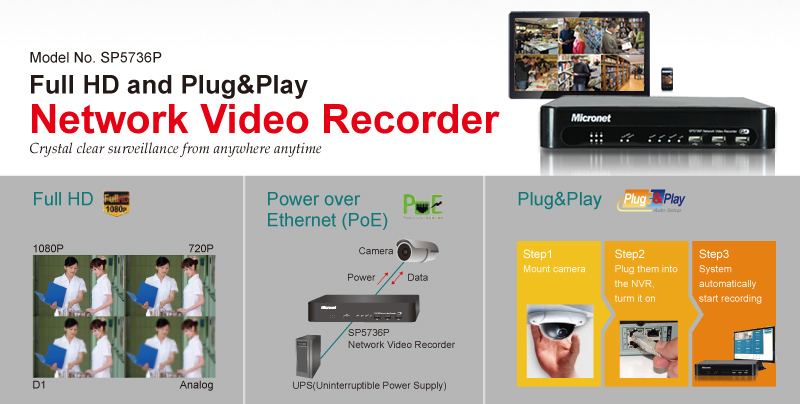 Moreover the 802.3af compliant PoE built-in switch is able to support Easy Plug and Play automation installation for IP cameras. 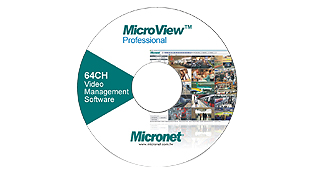 MicroView Professional is an excellent network video management software (VMS) for mid-sized installations supporting up to 64 cameras and 6 monitors.